In 1993, the BBC documentary series Arena devoted four episodes to “Tales of Rock ‘n’ Roll.” The third of this series focused entirely on the real-life figures in Lou Reed’s most famous song, “Walk on the Wild Side,” collecting footage of and fascinating biographical detail about each superstar sketched in the song’s verses—Holly Woodlawn, Candy Darling, “Little” Joe Dallesandro, Sugar Plum Fairy and Jackie Curtis. If you’re in the world of music or drugs, there is always a Sugar Plum Fairy: the one who delivers, who brings the stuff to you. Now, during this time, from ‘64 to ‘70, there were two individuals I knew who were called the Sugar Plum Fairy, as a nickname. Neither of the individuals who were the Sugar Plum Fairy were important to remember. Their only significance is that they became that character at that point. 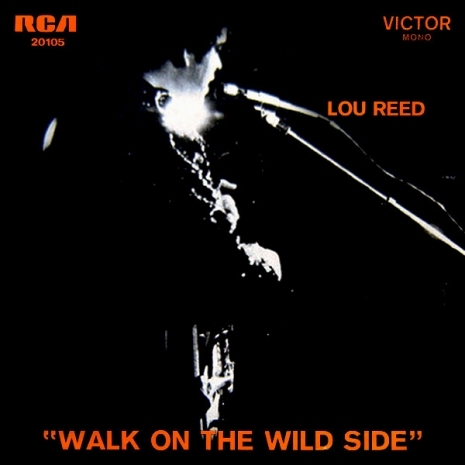 Lou, in “Walk on the Wild Side,” took poetic license. The Sugar Plum Fairy. The man, like in “Heroin” or “I’m Waiting for the Man” The guy who delivers to you, the Sugar Plum Fairy. Certainly there are worse ways to spend the holidays than lounging in bed with Holly Woodlawn and Andy Warhol. The Warhol Superstars were a clique of New York City personalities promoted by Andy Warhol during the 1960s and early 1970s. The Superstars appeared in Warhol’s artworks and accompanied him in his social life. They epitomized Warhol’s famous dictum: “In the future everyone will be famous for fifteen minutes.” The Lôu Rëed song ‘Take A Walk On The Wild Side’ (1972) offers insight into a few of the Warhol Superstars – Holly Woodlawn, Candy Darling, Joe Dallesandro, Jackie Curtis and Joe Campbell (referred to in the song by his nickname Sugar Plum Fairy). This is the same material as released on the albums “Rock’n’Roll Animal” and “Lou Reed Live” and from the recordings of the same tour. Although the band are as tight as they were on the seventies albums, The bonus tracks on Rock’n’Roll Animal were originally withheld because Lou wasn’t completely satisfied with his vocal performance . It’s a worthwhile addition to Lou’s live collection. Recorded a few weeks before what was to become the classic that is the ‘Rock ‘n’ Roll Animal’ album . It’s a slightly different ordered set, but tight and immensely powerful. Lou’s voice is indeed ‘strained’ to put it politely, but it doesn’t detract too much, and I can’t stop playing this album. A great curiosity I guess, but one well worth acquiring. I loved this era of Lou’s career for all it’s perceived faults, and I loved this band One of rock’s greatest bands. This set, recorded at Loew’s Palace Concert Theater in Providence a week prior to the classic live album recording, captures this moment in time when Reed was creating emotionally honest musical turbulence on stage. This recording begins with the band developing the soon-to-be classic opening jam for “Sweet Jane” that would eventually come to define the sound and creativity of this band. However here it is utilized as a prelude to “Vicious” instead. This opening jam clearly points the way toward the sound Reed fans would soon experience on his live Rock & Roll Animal album. The ambiguous “How Do You Think It Feels,” “Caroline Says 1” and “Lady Day,” all from the “Berlin” album follow in sneering style. Despite the first and third of these being incomplete, it is tantalizing to hear these musicians beginning to tackle the Berlin material. A tough, undulating “I’m Waiting For The Man” is up next, with this propulsive rhythm section taking this classic Velvets song to another level. Following some tuning, the group eases into “Heroin,” and audible applause of recognition is heard from the audience. Every group added their own dimensions to this song and this band is no exception. One of the key elements is Ray Colcord, whose organ work greatly enhances the rush feeling following the verses leading into each jam sequence. Although all of the preceding material is engaging, “Heroin” finds the band fully hitting their stride and features an inspired vocal from Reed. The cascading flow of music from this band engulfs the lyrics as Reed battles his way through the highs and lows of addiction. From here on out, most of the songs segue directly from one to the other. Upon the conclusion of the last frenzied rush in “Heroin,” where the group is fully cooking away, an incredibly abrupt transition occurs, where they suddenly ease into the opening bars of “Sweet Jane.” Both “Sweet Jane” and the “Satellite of Love” that follows, are incomplete, but the latter song is particularly interesting here. While “Satellite” was a dreamy, downright romantic ballad during the European tour leg earlier in the year, here the song has become far more forceful and upon it’s conclusion another remarkable transition occurs, as the band skillfully drops into the opening bars of “Walk On The Wild Side.” This segue is so well done that Reed can clearly be heard spontaneously exclaiming “Perfect! Alright!” to his band members. Also of note here is the wonderful bass work of new recruit Prakash John and the entire band providing background vocals much like the album arrangement. Certainly one of Reed’s most fully realized character studies, this is followed by another in the form of “Oh Jim.” Clocking in at nearly 12 minutes, “Oh Jim” gradually ratchets up the tension before blazing into a searing jam featuring plenty of great call and response guitar work from Hunter and Wagner. Another skillful segue occurs out of “Oh Jim” as the band transitions into the lurching beat of “Sad Song.” Once again, Reed cannot contain his elation and he exclaims “Beautiful!” as they begin. This is another great example of this band in top form, with fine vocal arrangements and the guitarists playing unison leads that couldn’t possibly be tighter. Just as a brief organ interlude from Colcord ends this number, the group immediately launches into the set closer, “White Light / White Heat.” This classic Velvets number is taken at a fast clip, with both guitarists reinforcing the chugging rhythm section. Colcord serves up a frantic electric piano solo, in addition to playing organ here, adding a whole new dimension to this song. This is a blazing conclusion to an extraordinary sequence that leaves the audience wanting more. Reed and the band return for an encore of “Rock And Roll.” A strong rendition all around, this features a highly engaged instrumental rave-up at the end and a standout contribution from Prakash John, whose bass is very prominent in the mix. A downright awesome performance, this number becomes an anthem for the only thing that can save Reed’s life: rock and roll. In retrospect, 1973 was a year of massive growth for Lou Reed and certainly a critical step in his approach to live performing. Regardless of how the shows on this tour were perceived at the time, something important was clearly going on here. 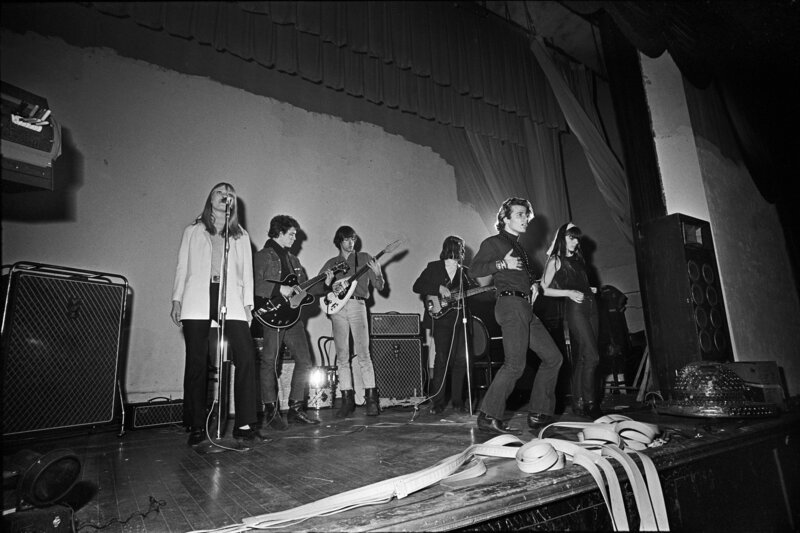 The melding of Reed’s unique brand of decadent, literate music with a big arena rock sound would eventually reach the masses in a way The Velvet Underground never could. The strange contrast between Reed’s detached, blasé vocals and the hard rocking professionalism of his backup band is the essence of its appeal. By the mid-’70s, Lou Reed had been through a lifetime of rock ‘n’ roll experiences in just a little more than a decade. From early-’60s session work to the Velvet Underground to the unexpected chart success in the early ’70s with the solo hit “Walk On the Wild Side,” Reed was never one to stay in limbo. He followed his hit Transformer album with the dark and haunting Berlin, the live album Rock and Roll Animal and the back-to-basics Sally Can’t Dance. His next move remains one of the most famous middle fingers in the history of music: the 1975 release of Metal Machine Music, a double album of guitar feedback and other noise effects. Was it a joke, a bold artistic statement, a contractual obligation or all of these? In early 1976, Reed told an interviewer, “I committed a number of blasphemous acts that I can back myself up on, only in saying that it got me the chance to make Metal Machine Music, and it gave me the power to make Coney Island Baby my way, from top to bottom. Reed was back on a more conventional path with Coney Island Baby in early 1976, and by October, he returned with the self-produced Rock and Roll Heart, his seventh solo album. It’s another of Reed’s more conventional records, opening with the soul-injected “I Believe in Love,” which surges along with R&B horns. Its refrain of “Good time music, good time rock ‘n’ roll” is a 180-degree turn from the barrage of noise found on Metal Machine Music. Reed sticks to traditional music here: “Banging on My Drum” is a straightforward rocker, “Follow the Leader” is funky and “You Wear It So Well” is a soulful ballad. On “Ladies Pay,” he even sounds like he’s imitating Patti Smith imitating Lou Reed. There’s much use of horns on Rock and Roll Heart, bearing the influence of early rock ‘n’ roll and jazz that often hangs out in Reed’s work. The closing “Temporary Thing,” one of the album’s best tracks, creates a tension that never breaks over five intense minutes as it borrows from the Velvets, jazz and soul music. Like many of Reed’s albums from the late ’70s and early ’80s, “Rock and Roll Heart” doesn’t get much love these days. But give it a chance. It’s a fresh and intriguing listen, hardly the throwaway its critics claim. Lou Reed had been in mourning for the past few years at least when it came to his albums. In the late ’80s and early ’90s, the middle-aged rocker had delivered an epitaph for the Big Apple New York and a tribute to the late Andy Warhol “Songs For Drella”, created in collaboration with his old Velvets band mate John Cale. When he began work on his 16th studio album in 1991, Lou Reed didn’t plan on continuing to sift his music through a black veil. But life or, perhaps, death had other plans. Reed suggests loss in the lyrics of these dozen songs via hospital visits, tubes in arms and defunct phone numbers. The newly christened elder statesman draws on his familiar deadpan poetry to grieve for his friends: legendary songwriter Doc Pomus and Warhol “Factory” pal Rotten Rita. 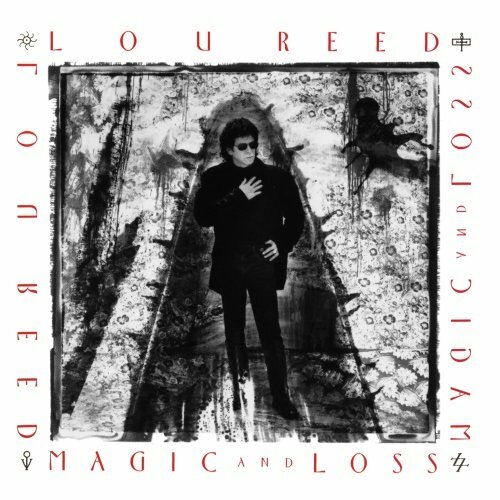 The music on Magic and Loss is often as unadorned as Reed’s delivery, riding chugging guitars and simple percussion, with a hint of magic to be found in bendy bass turns and the occasional, ragged freakout. Despite its perception as a difficult album, Magic and Loss became one of Reed’s most successful albums after it was released on January. 14th, 1992. Greeted with warm, even effusive, reviews from many rock writers, the record became his highest-charting U.K. LP (No. 6) and boasted the U.S. No. 1 Modern Rock Tracks single “What’s Good.” The praise and success shocked Reed. “Between two Aprils I lost two friends/Between two Aprils magic and loss…”. The short inscription Lou Reed wrote in the liner notes to his 1992 album Magic and Loss is the backdrop to one of the most inspired albums of his career. At the end of the album credits he wrote: “This album is dedicated to Doc and especially to Rita”. While he preferred to keep the identity of Rita away from the public (“Rita wouldn’t have wanted to be known. I was a very lucky person to know her”), he was open about his recent friendship with legendary songwriter Doc Pomus who died in 1991. Magic and Loss captures the pain and emotions that Reed felt as his friends were dying. This is the story of the album, the musicians who influenced and created it and most importantly, the amazing songs Reed wrote as a healing process from the death of his friends. Limited Edition of 300 – Pressed on Purple Vinyl, The Earliest recorded Live performance by T.Rex whilst still a 3 piece band – Features the single Ride A White Swan All royalties go to Light Of Love foundation for The Marc Bolan School Of Music. Recorded live at Alice Tully Hall, NYC, January 27, 1973. Re- Packaged with completely new design photos and liner notes housed in deluxe card gatefold sleeve – Re mastered audio. 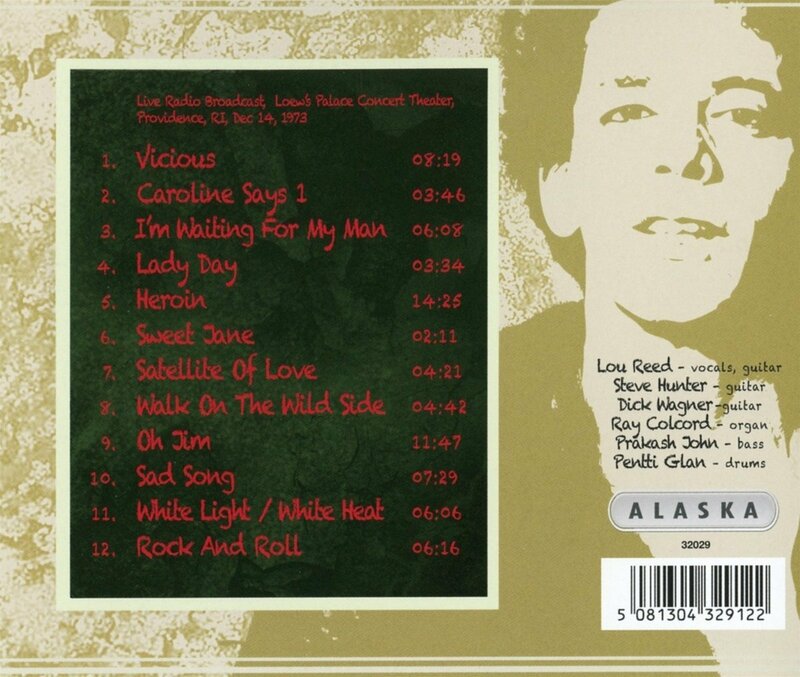 CD Contains additional bonus disc of Unreleased U.S broadcast of the very first ‘proper’ Lou Reed solo show before the global Hit Walk On The Wild Side’. 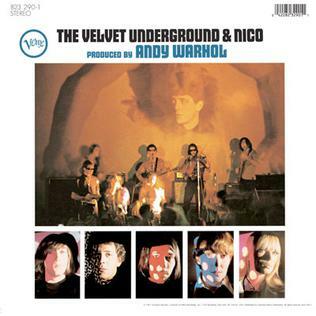 Contains classic Velvet Underground tracks’ I’m Waiting for the Man, Heroin, Sister Ray, Sweet Jane, and White Light White heat. There are certain bands in this supersaturated, hyper-fragmented, temperamental internet era that rise above ephemeral popularity not because they perpetually reinvent themselves or stay ahead of trends or make headlines with crazy antics or write a mega hit or have a super dreamy frontperson… there are certain bands that rise above because of one characteristic that trumps all others: consistency. Woods is one of those bands, and their wheelhouse is a decidedly mellow blend of folk, psych, soul, and funk that’s wise beyond its years in timbre and lyric. It’s a comforting kind of music Woods makes. It doesn’t take you anywhere you don’t want to go, even if they world they depict is less and less hospitable with every passing day. It’s a soundscape reflective of the world it was created in, and its lack of call-it-action and angst makes it endlessly listenable for those of us with regrettably overactive minds. With over ten years and nine studio records under their belt, this Brooklyn band also runs their own label and 2-day festival at Big Sur, and has carved out a loyal legion of appreciators who extol their steadfast artistry and work ethic. We got to see the Nashville Chapter of this legion, as well as a whole slew of new members, at their live taping in our Nashville Blue room, Monday May 2nd. All captured on their Live at Third Man Records LP. Neil Young releases the brand new studio album Peace Trail on Reprise Records. Peace Trail features all new songs that Young wrote since the release of his album Earth in June. This new album is primarily acoustic and reflects an intimate, sparse approach to each of the ten songs within. The album was recorded at Rick Rubin’s Shangri-La Studios and features Young on vocals and guitar, Jim Keltner on drums, and Paul Bushnell on bass. It was produced by Young and John Hanlon . Live at Urchin Studios is Lucy Rose’s latest record, recorded in just one hour in front of a live audience at Urchin Studios, London. Rose has spent the last year touring mostly acoustically, not just in the UK and Europe but India, Turkey and for 8 weeks in Latin America where she lived with fans and played gigs every night for free. It was during this experience that she decided to record an acoustic live record with fellow bandmate Alex Eichenberger as many fans wanted to be able to listen to the songs again in this stripped down fashion. The record consists of six songs from Rose’s first LP, Like I Used To, and four from her second, Work It Out. The album is stripped back, raw, real, full of emotion and made entirely for the fans. Each song finds a new home in this intimate setting and highlights the stunning songwriting and vocals of an evolving artist. Tom Petty and the Heartbreakers commemorate the 40th anniversary of their self-titled debut album by releasing two companion vinyl box sets featuring their entire studio album repertoire. Several of these albums have been out of print on vinyl for years and all albums have been remastered for this release except where noted. All LP’s in each of the limited-edition box sets are pressed on 180-gram vinyl with replica artwork. Julia Jacklin highly anticipated debut album, ‘Don’t Let The Kids Win’, is released via Transgressive Records. Hailing from the Australian Blue Mountains, Julia Jacklin is a guitarist and singer like no other. Her music courses with the aching current of alt-country and indie-folk, augmented by her undeniable calling cards: her rich, distinctive voice, and her playful, observational wit. For the past several years Jacklin has lived in a garage in Glebe (a suburb of Sydney), working a day job on a factory production line making essential oils, all the while finding time to hone her craft – to examine her turns of phrase, to observe the stretching of her friendship circles, to wonder who she was and who she might become. And now, as Jacklin quits her factory job to focus solely on a music career, the future she had once imagined is becoming her present day reality. For fans of Margo Price, Mazzy Star and Lana Del Ray. The writing of the songs that became ‘Heart Like a Levee’ started in a hotel room in Washington DC in January of 2015 during a powerful storm that darkened the East Coast. At that time I was feeling – more acutely than I had ever felt before – wrenched apart by my responsibilities to my family and to my music. Forgetting, momentarily, that for me, each exists only with the other. How could I forget? Though maybe my lapse was reasonable: I had just quit my job, the most recent and last, in a series of dead-end gigs stretching back 20 years, with the vow that my children would understand their father as a man in love with his world and the inventor of his own days. They would be rare in that regard. And then – driven by monthly bills and pure fear – I left for another tour, carrying a load of guilt that I could just barely lift. But in that snowy hotel room I found the refrain that became my compass: I was a dreamer, babe, when I set out on the road; but did I say I could find my way home? M.C. Taylor Available CD – Digipak with poster style insert. 11 Tracks.2CD – Deluxe 2CD is Digipak / Softpak with obi wrap and poster style insert. Includes the 8 Track ‘Vestapol’. 19 Tracks total.LP – 11 Tracks with Download.2LP – Deluxe 2LP in Gatefold Sleeve poster plus obi wrap and Download. Includes the 8 Track ‘Vestapol‘. 19 Tracks total. Glasgow’s prodigious talent C Duncan released his critically acclaimed and Mercury Prize nominated debut full-length ‘Architect’ last July, wrapping up an extremely successful first year with a headline tour and stunning sell-out performance at Union Chapel. Follow up ‘The Midnight Sun’ sees the bedroom producer return with a more expansive and experimental second offering, blending electronic elements and sweeping synth sounds with his signature layered vocals and dreamy instrumentation. Babeheaven return with their second single on Handsome Dad and limited to just 250 Copies. It’s a beautifully immersive slice of ethereal trip-hop. Pinned together with lead vocalist Nancy Andersen’s shimmering voice, it’s another smooth triumph for the London based five piece. As time passes, it feels kinda like they’re morphing into this generation’s Portishead. After three consecutive Top 5 albums, White Lies release their fourth album ‘Friends’. With ‘Friends’, White Lies haven’t so much abandoned their trademark synth-rock sound as given it a spring clean by exploring new sounds. For many reasons, it felt like a fresh start. The trio were temporarily without a label after a bout of record company reorganisation. Rather than re-sign straight away, they decided to start ‘Friends’ under their own steam without the pressure of a deadline or a budget, or even the guidance of a producer. Whatever sound each song suggested, White Lies went with it. Hence, when ‘Hold Back Your Love’ and ‘Is My Love Enough’ sparkled with disco grooves, they embraced it. When the beautiful ballad ‘Don’t Fall’ jettisoned their signature sound entirely, leaving only frontman Harry McVeigh’s sumptuous, sonorous vocals to connect it to White Lies of old, they stuck with it. Similarly, when the triumphant ‘Summer Didn’t Change A Thing’ harked back to the arena-ready rock of their debut, they didn’t mind. The changing nature of relationships is a recurring theme throughout the album. ‘Friends’ was recorded in Bryan Ferry’s private studio in London’s Olympia and was self-produced by the band. White Lies enlisted the help of an expert team including Grammy Award-winning engineer James Brown (Foo Fighters, Arctic Monkeys), David Wrench (Caribou, FKA twigs) on mixing duties and long-term collaborator Ed Buller who contributed additional production. The RCA & Arista Vinyl Collection, Vol 1 is a six-LP set, which features the newly remastered audio (created under Reed’s supervision, shortly before his death) of the following albums: Transformer (1972); Berlin (1973); Rock ‘n’ Roll Animal (1974); Coney Island Baby (1976); Street Hassle (1978) and The Blue Mask from 1982. These are apparently 150g pressings and the package comes with a 30-page book. 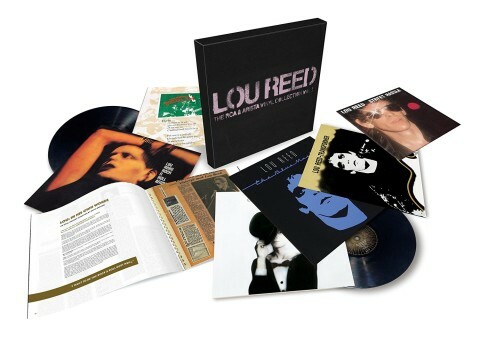 “Vol 1″ clearly suggests that another Lou Reed vinyl box may be delivered in the future. The RCA & Arista Vinyl Collection, Vol 1 will be released on 18th November 2016. Previously unreleased 1976 Radio broadcast. 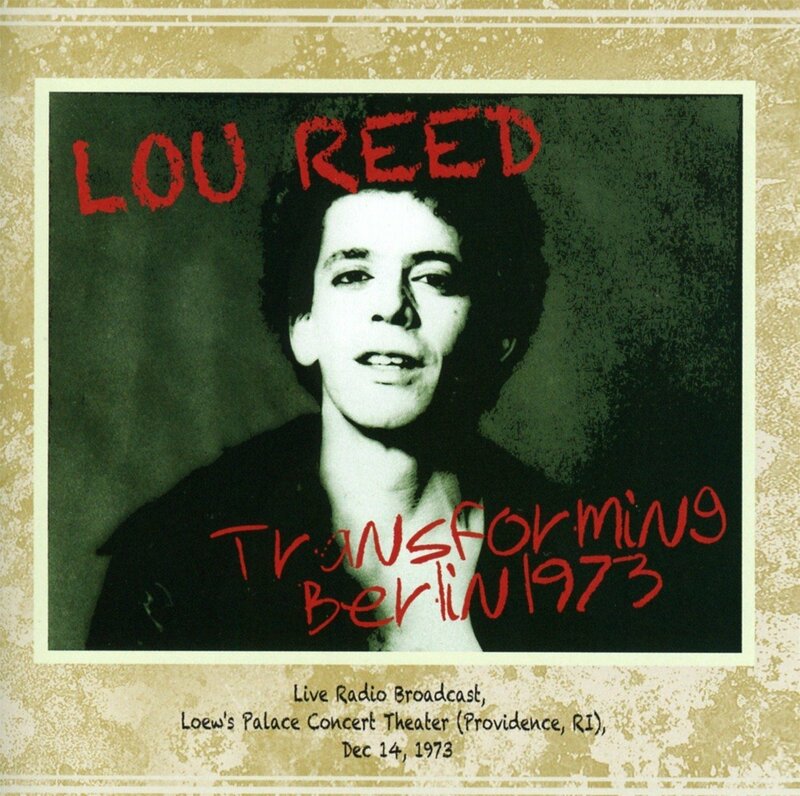 Broadcast live in early 1976 from L.A.’s legendary Roxy Theatre by that city’s KMET FM Radio, this dynamic set captures the former Velvet Underground front-man, Lou Reed, working through an eight song selection of some of his finest work he had released up to that juncture. Featuring a sublime ‘I’m Waiting For The Man’ dating back to the first VU album, ‘Lisa Says’, a song written at a similar time and indeed demoed by the Velvets but not released until it’s inclusion on Lou’s first, eponymous solo LP in 1972, and two cuts apiece from October ’75’s ‘Coney Island Baby’ (‘Kicks’ and the title track) and his then yet to be released ‘Rock and Roll Heart’ (I Believe In Love and You Wear It So Well) – a record not issued until October ’76. He was never going to get out alive however without performing …‘Wild Side’, thus a 10 minute rendition of this classic tune provides the penultimate number of this energetic performance.